Where am I? 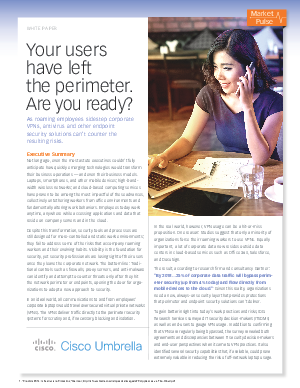 › Home > White Papers > Cisco Umbrella EMEA > Whitepaper: Your users have left the perimeter. Are you ready?